The Energy planning and energy efficiency Bureau - Regional Ministry of Production activities of the Aosta Valley Autonomous Region - is the operational structure responsible for the energy planning in Aosta Valley (N.W. Italy). Program and manage the activities for the preparation, the updating and the implementation of the Regional Energy Plan (PER). Monitor, at regional level, the state of the 20x20x20 objectives as established, at national level, by the "burden sharing" regulation; prepare and provide instruments to support the achievement of the 20x20x20 targets. Program and manage the activities planned for the achievement of the objectives set by the regulations on energy performance of buildings. Promote and monitor the realization of pilot projects in the field of renewables energy and energy efficiency. Define, monitor and coordinate the activities of the "Centre for observation and activities on energy” (COA energia – Regional energy agency). Manage regional measures aimed at containing the cost of electricity. Define formation and information initiatives in the field of energy saving, energy efficiency and renewable energy sources. Participate, as partner, at European territorial cooperation projects with particular regards to the Alpine Space (AlpEnergy, AlpHouse, AlpStore and AlpBC) and the Alcotra (Italy-French) Programme (Renerfor). Program and manage projects funded on the Regional Operational Programme "Competitiveness 2007-2013" (POR FESR 2007-2013), co-funded by ERDF and adopted by the European Commission Decision C/2007/3867 of August 7, 2007. Actually, the new Regional Energy Plan (PER) is under Strategic Environmental Assessment procedure. On august 01, 2012 the regional Council approved a new regulation (regional law n. 26), proposed by the Bureau, in the field of energy planning, promotion of energy efficiency and development of renewable energy sources. The new law guidelines regards, in particular, the issues of energy planning and the energy efficiency in buildings. It also covers the procedures for the construction and operation of plants from renewable sources and for the operation, maintenance and control of heating systems. The project's main objective is analyse the impact of electric mobility (with electric vehicles also intended as mobile storage systems) and stationary storage (such as batteries, flywheels, pumping,..) on the energy system, with regards to the possibilities, offered by these technologies, to better integrate in the grid the energy produced from renewable energy sources. 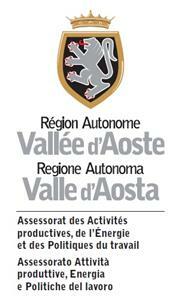 In Aosta Valley will be investigated and assessed the effects of these two topics on the regional energy system and on the electricity distribution network, in different scenarios of technologies development and deployment and with particular emphasis given to the expected increasing diffusion of electric vehicles. These analysis will be supported by simulations and pilot implementations, thanks to which obtain detailed information for the application of models and the definition of scenarios and impacts. With AlpStore the region intend to enhance its expertise in this field, taking advantage of the comparison with the other partners and the transnational approach and acquiring the necessary instruments to integrate into the energy planning such innovative systems that, in the near future, will play a key role in the new models for the management of electricity produced from RES and the sustainable mobility. In this way the transition to a massive deployment of these technologies, especially regarding electric vehicles, can be effectively driven, in line with the other strategic objectives that the region has set in the energy sector.